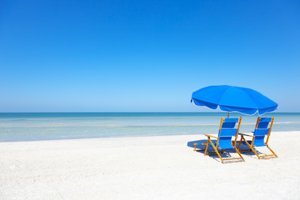 Bonita Springs is one of Southwest Florida’s most popular communities, and rapidly growing as new residents come to discover all it has to offer. 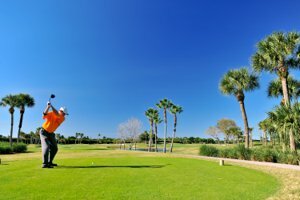 This Lee County city features beautiful beaches, plenty of entertainment, and endless possibilities for those who live for golf. Bonita Springs is for anyone who enjoys an easygoing lifestyle in the sun, on the links or anywhere around the water. 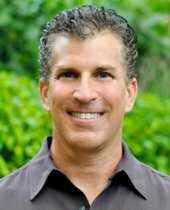 Real estate in Bonita Springs has plenty to offer. This growing community has options for a wide range of budgets and lifestyles. Waterfront properties are popular in the community, with gorgeous estates providing some of the best views in the state. Condos and townhouses provide a more, maintenance-free lifestyle, with the bonus of community amenities. From condominium complexes to spacious homes in gated neighborhoods to waterfront estates, Bonita Springs offers something for everyone and every budget. There are several beautiful parks and recreation areas in Bonita Springs. One of the community’s most loved features is the sugar white sand beaches. 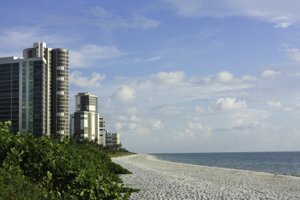 One of the most popular beach parks is Bonita Beach, which spans two-and-a-half acres. The park includes playgrounds, volleyball courts, and plenty of places to swim and play. The Bonita Springs Recreation Center offers an array of things to enjoy, including a full gym, skate park, swimming pool, athletic fields, and tennis courts. An extensive trail system within the community also provides plenty of space for biking, hiking, and strolling underneath the Florida sun. Great shopping, dining, and entertainment can be enjoyed when living in beautiful Bonita Springs. The Promenade at Bonita Bay is one of the best places to shop. The upscale mall is home to luxury boutiques, dance studios, gelato shops, and more. Live entertainment is also found throughout Bonita Springs. The Center for the Arts of Bonita Springs is a popular spot that hosts festivals, comedians, and live music throughout the year. From enjoying a show to shopping until you drop, life in Bonita Springs is never boring. A rapidly growing community, local businesses are developing and thriving within Bonita Springs. There is plenty of commercial space for new businesses in the city, some of which can be found at more affordable prices than in neighboring cities. Low business taxes and plenty of space has encouraged development here. The city’s great location between Naples and Fort Myers provides excellent opportunities for local business and commuting in SW Florida. The Lee County School District serve residents of Bonita Springs. The area is also home to private school options and opportunities for higher education, including the Bonita Springs branch of Florida’s Southern Technical College.